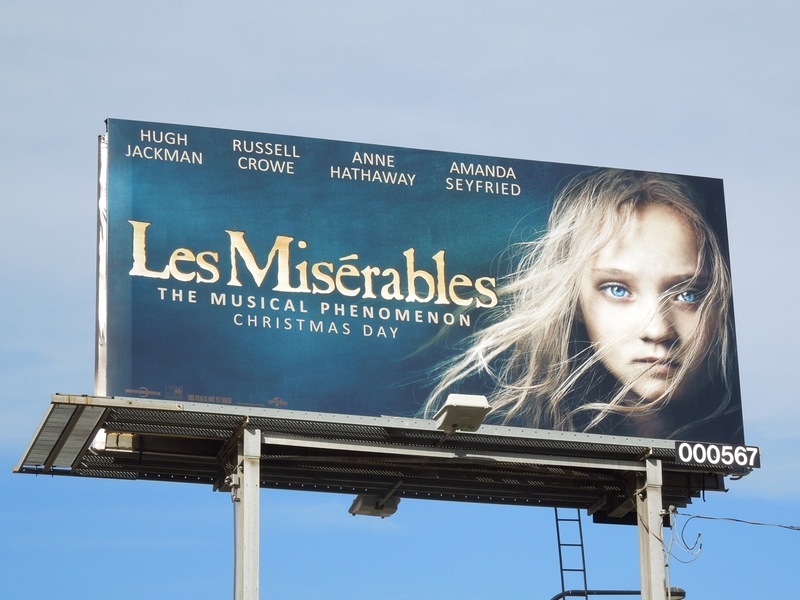 In Tom Hooper's 2012's big screen adaptation of the popular musical Les Misérables, Amanda Seyfried and Eddie Redmayne star as the young lovers 'Cosette' and 'Marius'. 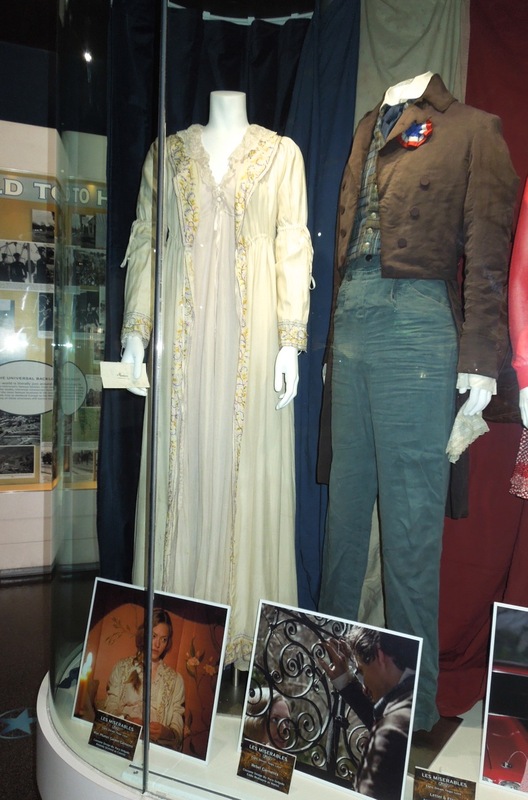 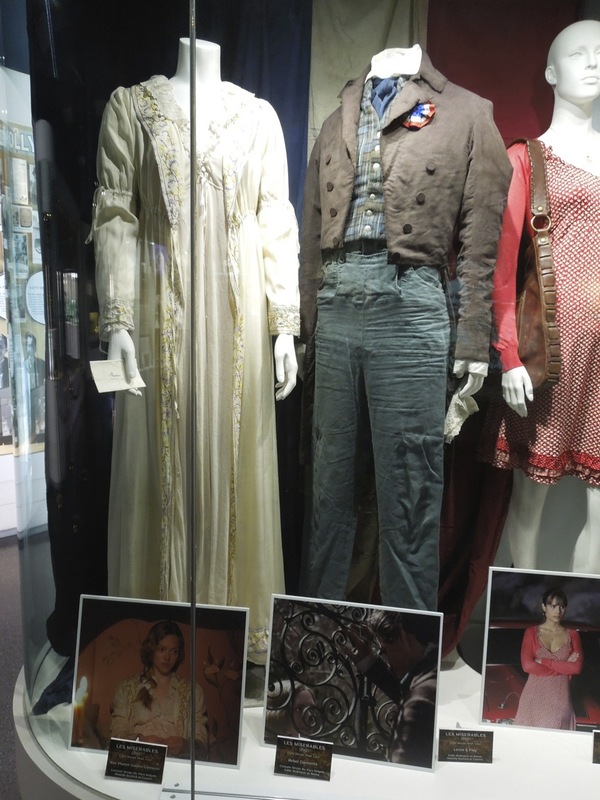 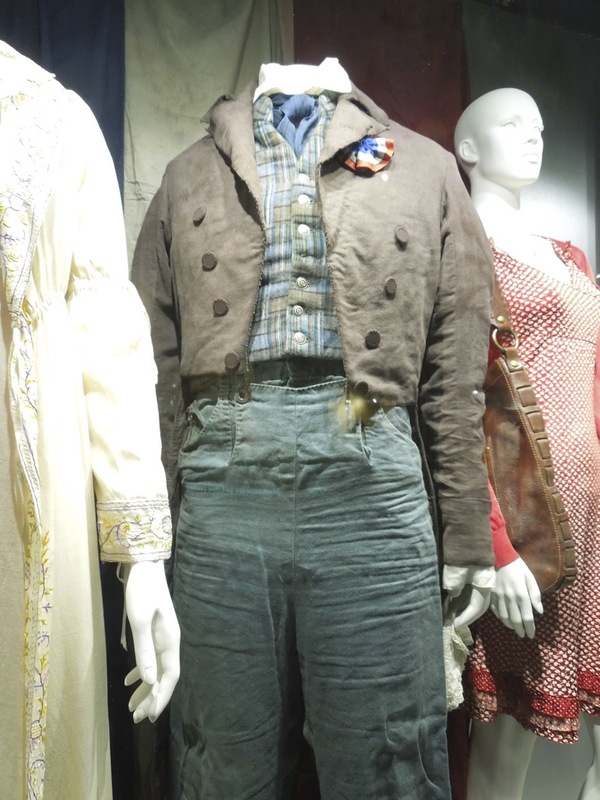 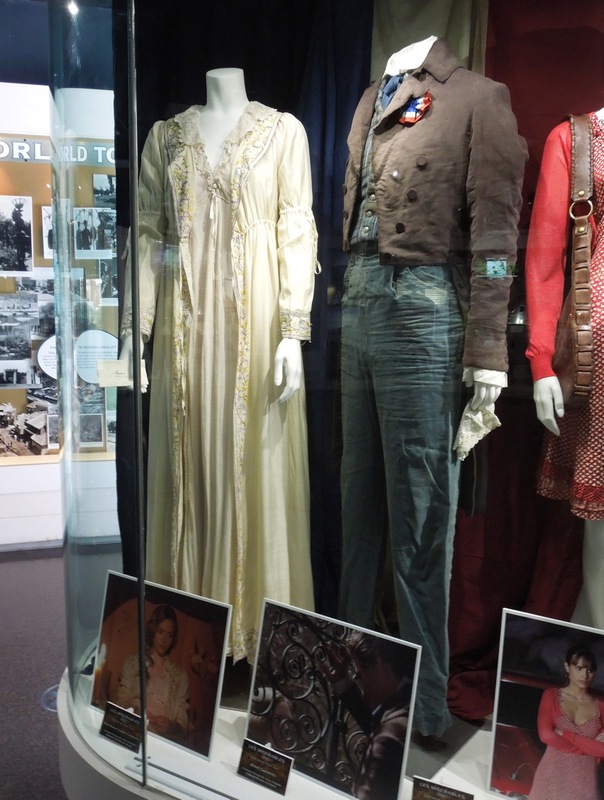 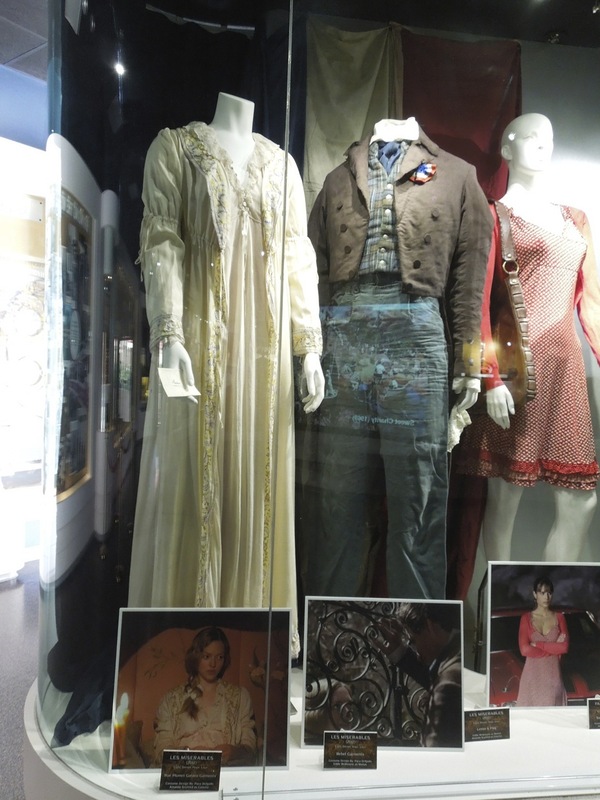 These original costumes from the movie were photographed on display at the NBC Universal Experience exhibit at Universal Studios Hollywood on February 7, 2013. 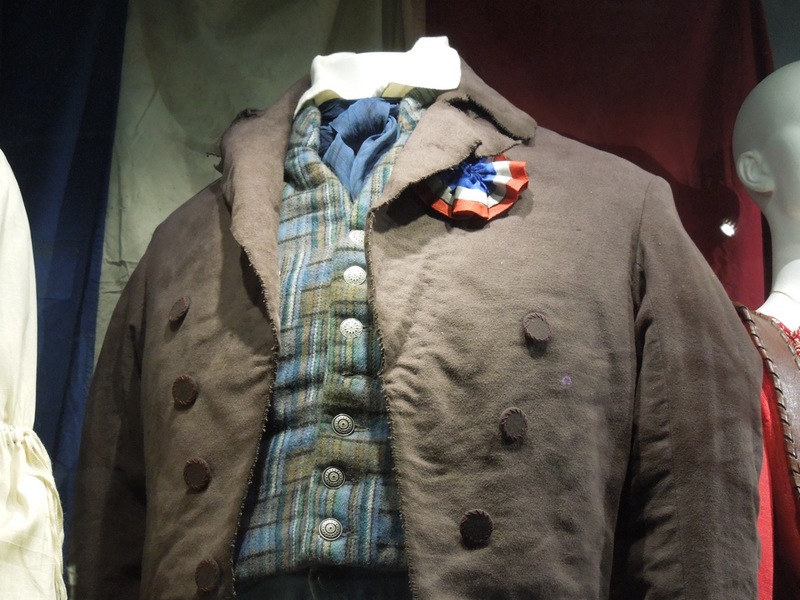 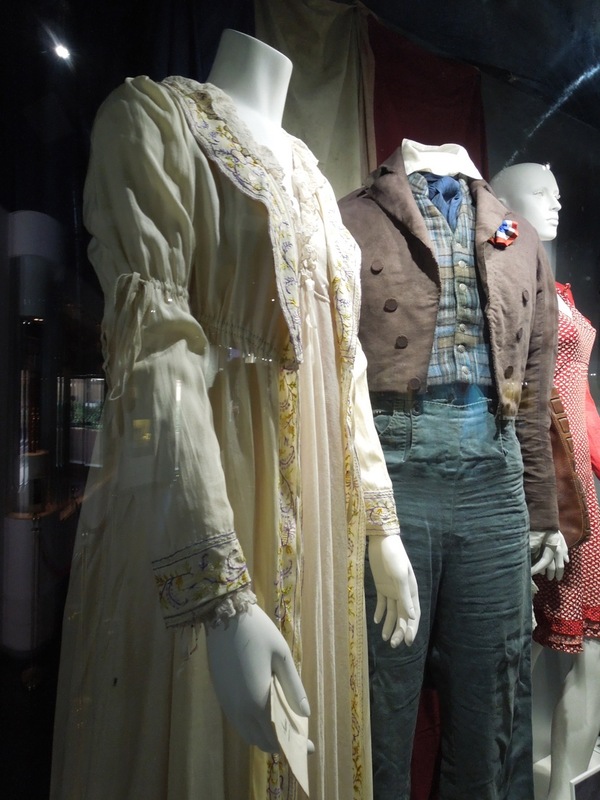 Paco Delgado is responsible for creating these 19th century France inspired costumes and his work is one of the eight Oscar nominations for the film, including for Best Picture and Best Actor in a Leading Role for Hugh Jackman as 'Jean Valjean'. 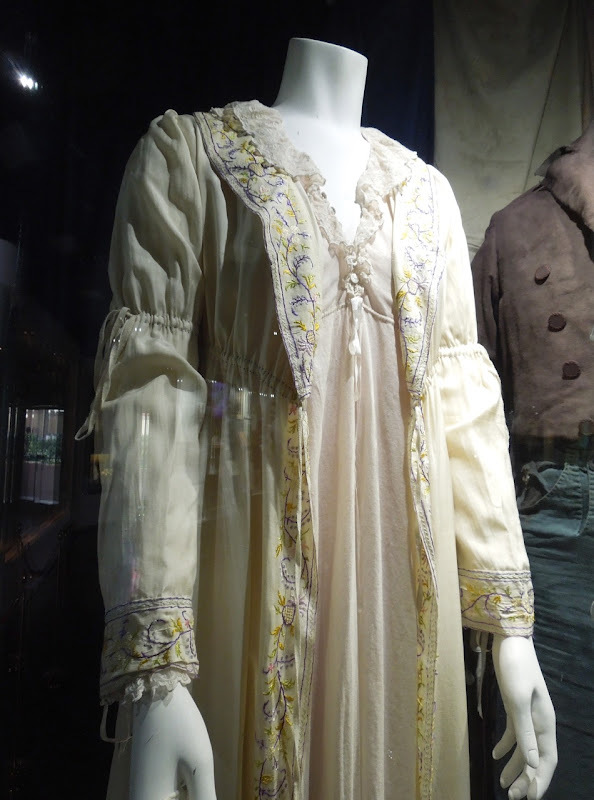 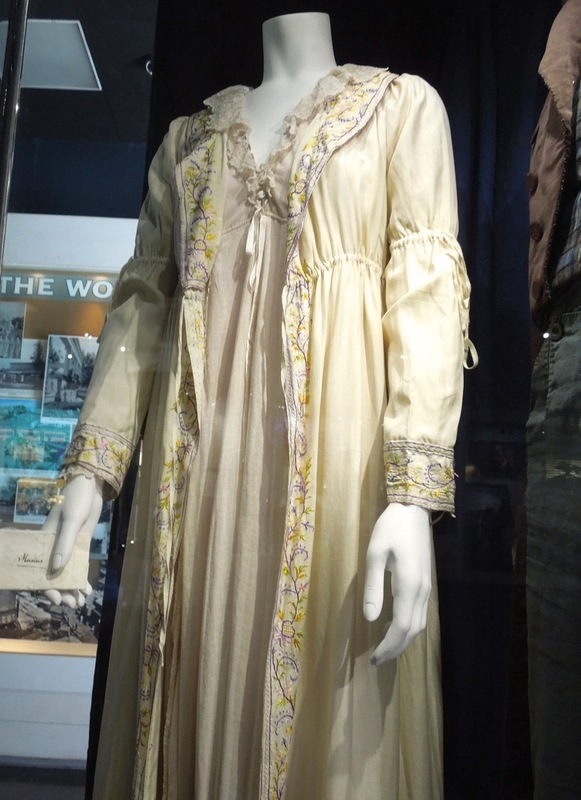 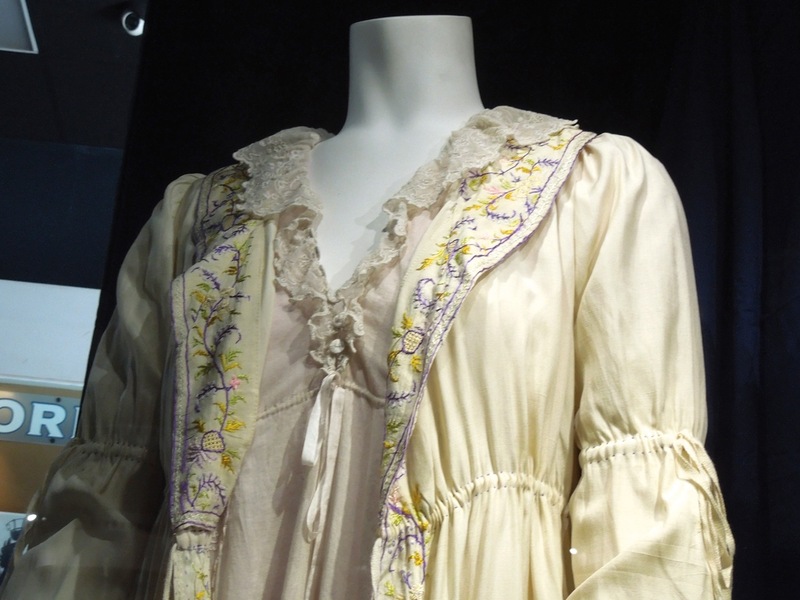 Amanda Seyfried plays the role of 'Cosette', the orphaned daughter of 'Fantine' adopted by the ex-convict Jean Valjean, and wears this pretty costume in the Rue Plumet Garden scene in the movie. 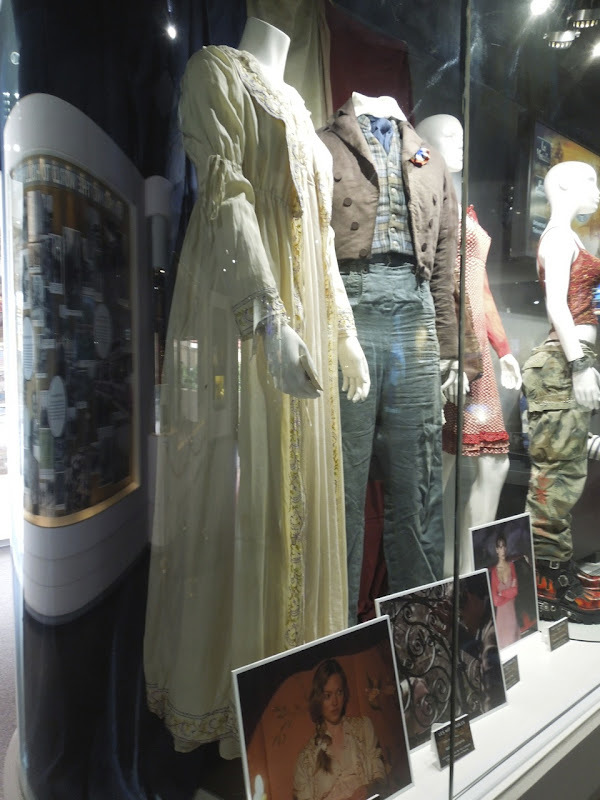 If you're a fan of the actress, be sure to take a look at Amanda Seyfried's costumes from Mamma Mia: The Movie on display. 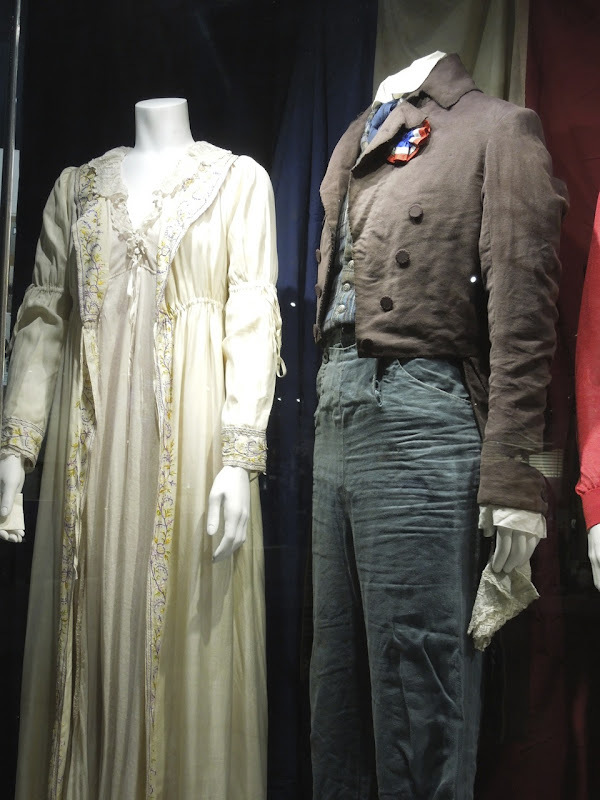 Eddie Redmayne stars as 'Marius', the courageous young French revolutionary during the 1832 June Rebellion in Paris who falls in love with Jean Valjean's daughter. 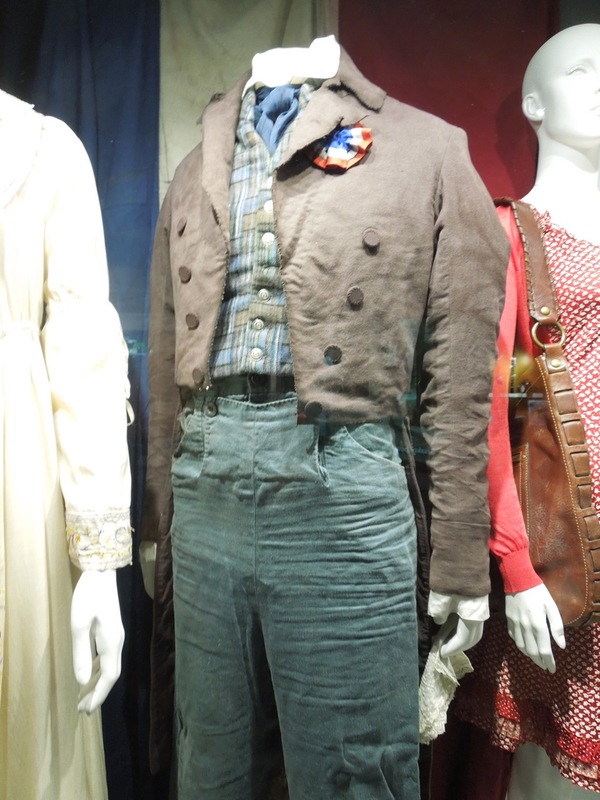 If you're a fan of the young British actor, be sure to check out Eddie Redmayne in these fashion billboards for Burberry.